Not even Brother Brigham’s whiskers are safe from BYU’s notorious beard ban. 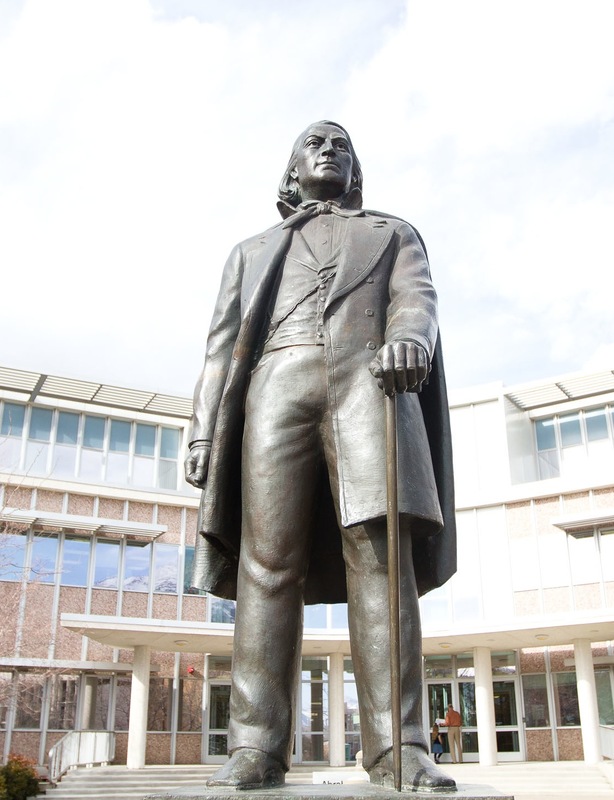 Legend has it, the statue of Brigham Young located just south of the ASB once had a beard, but when administrators decided that facial hair was a faux pas, the statue was decapitated and given a new, beardless head. The earliest mention of the rumor was made in May 2003 on BYU’s 100 Hour Board, an online forum where volunteer “know-it-alls” answer questions about all things BYU. 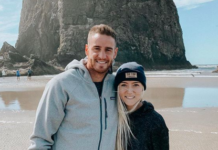 According to recent BYU grad Jeremy Balleck, the rumor has come up in several conversations throughout his college career. Balleck, who studied civil engineering and is somewhat familiar with metal work, said he took the time to investigate on his own. According to the rumor, remnants of a “scar” or “suture” can still be seen on the neck of the statue. “I even looked at (the statue) once, and it does look like there was some kind of work done,” Balleck said. Though what may be a “scar” is visible on the statue’s neck, in the world of myths, not everything is what it seems. Click here to take the BYU MythBusters Quiz!! The statue of BYU’s founding father was introduced to campus on Nov. 4, 1961, as a part of that year’s Homecoming celebration. According to a Daily Universe article, “Great-grand-son unveils Brigham Young statue,” published the day prior, the statue has always been clean shaven. Though the photo in the Nov. 3 edition of the paper didn’t show the statue’s face, a photo of the clean-shaven, unveiled statue was published a week later. If that’s not proof enough, there’s a second witness that this Brother Brigham has always been an Honor Code abider … well, a nearly identical older brother at least. The plaster cast used to create BYU’s statue was also used to create the Brigham Young statue featured at the “This is the Place” Monument at Heritage Park in Salt Lake City. The Heritage Park version, which was sculpted between 1939 and 1947, features oversized bronzes of Heber C. Kimball and Wilford Woodruff on either side of Young, but even here, Young is clean shaven. The only alteration ever made to the BYU statue was in 1999 when it was moved a few feet north to accommodate expansions of the HBLL. 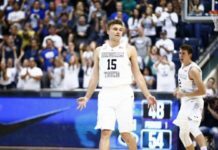 Though this myth is officially busted, Balleck said he thinks it will still continue to be a rallying cry for the bearded boys of BYU. “Even if it’s not true it makes a heck of a story,” Balleck said. Charles Beacham is a Life Editor for the Universe. He grew up in the greater Houston area and enjoys writing about music, movies, technology and art.